I know, it sounds weird. But, as the saying goes, you have to spend money to make money. Most people realize that even after you have your business up and running, your business expenses will increase as you bring in more money. For example; you will have to run more Facebook ads to get more paying customers, and that is fine. But most people don’t realize that your personal expenses will continue to increase too. Dinners. You can’t meet with a potential partner without covering the tab. Expect to spend $250-$350 for a nice dinner out. You can’t expect to close the deal without having to pick up a tab or two. Gas. Gas isn’t expensive, if you just drive to work and back. But chances are you will be picking people up from the airport. Driving around for meetings. Shopping and going on a lot of dates because you finally got your clout up. Food. Since you will always be on the road, you won’t be eating at home anymore. You have to grab food on the road, in between meetings, at dinner, and at the most expensive place of ALL – the Airport. Make sure you budget for these upcoming expenses. And don’t try to keep your expenses down. They will naturally need to go up in order for you to expand your business. This will be uncomfortable at first because our parents always taught us not to spend money if you don’t have to; but it’s just money. Money is just a tool for you to use to get where you’re trying to go. So use it. I hope this helped. Leave a comment below. And share this with a friend. 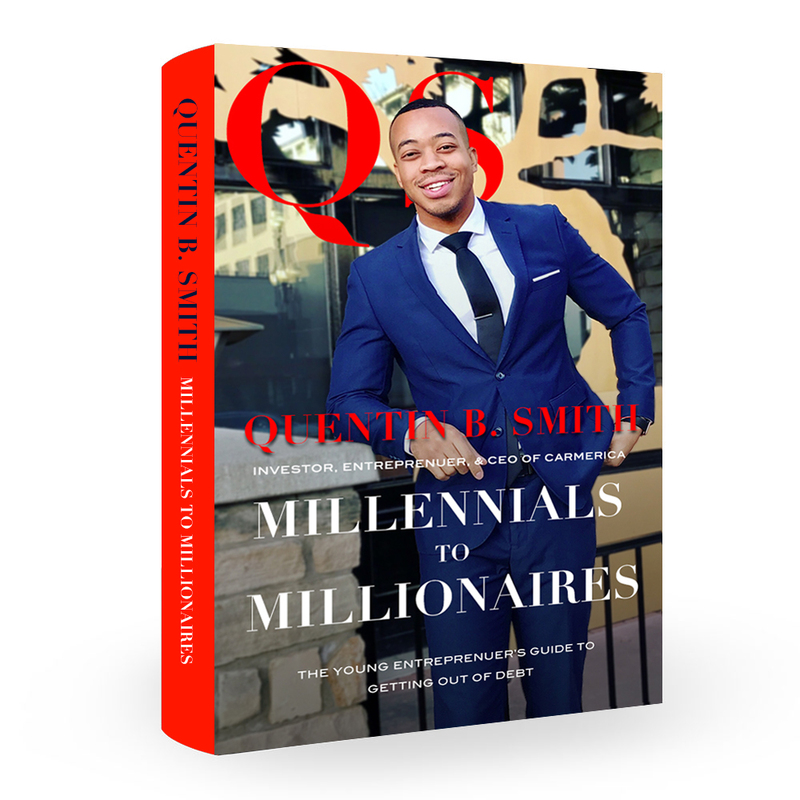 Quentin B. Smith is the bestselling author of Millennials to Millionaires, recognized automotive dealer, and motivational speaker on personal finance, investing, and entrepreneurship. Mr. Smith’s 2 privately held companies reflect his honest viewpoints on the economy, the middle class mindset, and business have made him a valuable resource for media seeking commentary and insights on real topics that matter. Catch him in highly held finance publications as he urges his followers and associates to Make it Happen and go from Millennials to Millionaires. He currently resides in Salt Lake City, UT with his friends, team, and cars. Visit http://quentinbsmith.com for his latest blogs, news, tips, and training! Ever feel like you’re not supposed to be average?